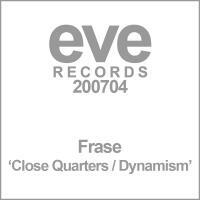 Frase has become a name synonymous in the world of trance with a discography rapidly filling with heavily supported and critically acclaimed productions whilst his DJ diary continues to grow apace with notable appearances at leading club-nights, alongside the biggest DJ's from across the globe. Frase's productions and remixes are regularly to be found in charts, radio playlists and on compilations from the likes of Armin van Buuren, Paul van Dyk , Ferry Corsten, Eddie Halliwell, Marco V, Markus Schulz and Above and Beyond to name but a few. Releases for leading labels such as Anjunabeats, Discover, Mondo, Eve, Insatiable, Flux Delux, Elektrotek, Six Thirty, MPFS, Alter Ego, Slinky and Vaccine Records to name but a few provides further evidence of why the hype and excitement continues to build around this artist.